Scitek is renowned for honest and professional service. We know it is vital for you to have the best and most reliable backup and support. Our goal is to ensure you are obtaining the best from your equipment at all times. Our factory certified engineers and application specialists regularly attend detailed training by our suppliers to ensure we always provide unparalleled after-sales service, as well as training for all the equipment we supply. Scitek maintains a detailed Quality Management System, which has been independently audited and verified according to ISO 9001. 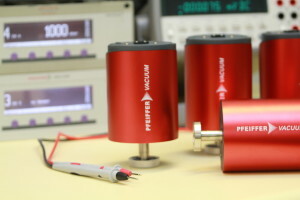 As the first Pfeiffer Vacuum distributor globally, Scitek offers local users turbo pump vibration testing according to Pfeiffer factory standard. Equipment breakdowns always happen at the wrong time. We pride ourselves in fast response times and quick repairs. Our service team keeps extensive spare part stock levels to maximise uptime of your equipment. Even if parts are needed from overseas we commonly complete repairs within 2 weeks. Fast track options are available on request. Depending on the type of equipment we offer on-site repair or have to request the equipment into our workshop. Our Equipment Health Checks offer entry-level performance inspections and can be performed either at your facilities or in our workshop. You get a snapshot of the current equipment performance as well as suggestions for future care and service plans. No matter whether you work for a business or a public institution, as a laboratory or production manager you are required to optimise productivity and minimise production downtimes. Failing equipment can cause unnecessary delays or loss of production income. Scitek offers a full range of standard service agreements to assist with risk management. Our range of options enables you to select the type of agreement to best suit your application and requirements. For even greater flexibility, it is possible to tailor the agreement to suit your specific needs. If equipment uptime is paramount to you, then protect yourself with a warranty extension which includes tailored preventative maintenance as well as priority breakdown cover. Warranty extension holders will automatically receive backup instruments (subject to availability) if we are unable to repair your equipment in less than 3 working days. Our warranty extensions are straightforward and give you total piece-of-mind. Fixed annual costs are perfect for professional budgeting. As the first Pfeiffer Vacuum distributor globally, we are offering factory compliant turbo pump vibration tests performed on an original Pfeiffer Vacuum vibration test system. 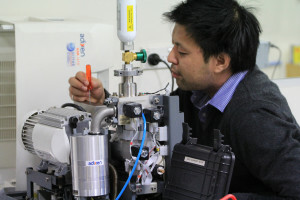 This test allows early detection of potential pump issues, such as bearing wear, incorrect bearing position, incorrect bearing angles, rotor imbalance or early rotor damage which are vital for best possible pump life. Your pump will be tested before and after each Scitek service or repair is performed. A successful vibration test qualifies your pump for 12 months warranty on the work done. 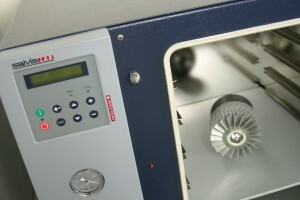 Scitek operates a DAkkS (German accreditation body) traceable vacuum calibration rig. We are able to perform DAkkS traceable calibrations in the range from 1,100 mbar to 0.0001 mbar (absolute) and issue calibration certificates according to ISO 3567. 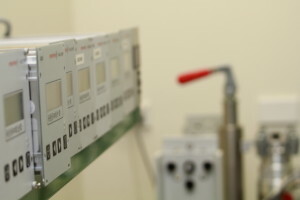 Our service is available for most brands and models of gauges, controllers and displays. 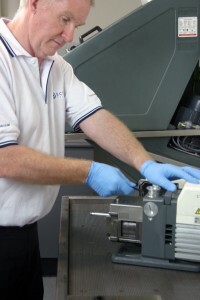 Our calibration service includes initial function tests and, where required, gauge clean and service. Upon completion a detailed certificate is issued. Our service team operates and follows a detailed ISO 9001 compliant quality manual to ensure quality and reproducibility of our service. Scitek maintains an extensive fleet of rental and backup equipment at attractive prices. We offer operator training but can also supply engineers for complex tasks such as leak detection. We issue test performance certificates for every service we do. Scitek will offer 3 month warranty for all equipment serviced. Turbo pumps repaired and serviced which successfully pass our vibration test system are warranted with market leading 12 months. We are happy to trade-in or dispose off your old product. Be surprised of the attractive terms. Where possible we offer first level service training to assist your team’s independence and to shorten response times in mission critical applications. understanding process results or simply get assistance with documentation. We offer a 24/7 emergency phone service exclusive to our most important customers as well as all users of our extended warranty, equipment health check and preventative maintenance services.